Would like to engage with passionate individuals interested in helping build the innovation and Startup Entrepreneur ecosystem in Hong Kong. Look forward to working with and supporting any overseas and Mainland Chinese companies interested in setting up or expanding a business operation in Hong Kong. 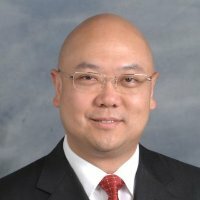 Appointed Associate Director-General of Investment Promotion at Invest Hong Kong (InvestHK) in July 2007. Heading up one of two divisions that is responsible for helping overseas, Mainland and Taiwanese companies to establish or expand their business presence in Hong Kong. Overseeing teams responsible for Financial Services, Innovation and Technology and Information and Communications Technology. Also managing the Research and Knowledge management team as well as the International Operations team which oversees 23 key business cities in the Americas, Europe and Asia. Extensive experience in the private sector (namely in the manufacturing, trading sectors, as well as in the financial services and banking sectors in Mauritius, Canada and Hong Kong). Have experience setting up and managing a startup business and running a major international chamber of commerce in Hong Kong.